Arpana Research and Charities Trust was set up in 1962, as a non-profit organization working to improve health, provide education and enhance livelihoods through programs covering over 350,000 people in rural Haryana, Himachal Pradesh and in Delhi’s slum resettlement colonies. 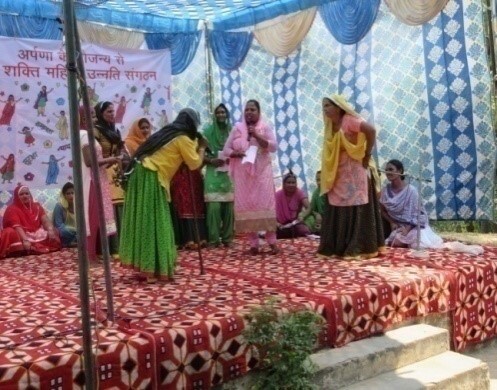 Arpana is engaged in intensive health and rural development programs in over 248 villages of Haryana and Himachal Pradesh, including, healthcare, maternity/ child welfare, livelihood and rights promotion, water and sanitation, farmers’ welfare and computer trainings. Arpana is also working towards education, health and development of over 50,000 people in slum resettlement colonies of Molar Bund in New Delhi. IDRF and Arpana joined hands as a component of their women’s empowerment program, and started a number of Self Help Groups (SHGs) in Haryana. During the initial 3-4 years IDRF confined its activities regarding gender parity in 10 villages. The grand success of this experience gradually led IDRF to expand the program from 10 villages to 40 villages and eventually to 100 villages. On the other hand, IDRF gradually broadened the scope of its involvement from gender parity to Improved Health Care and Economic Emancipation by supporting SHGs for women, farmers and differently-abled persons. IDRF’s partnership with Arpana led to the formation of 980 women’s SHGs, comprising of about 12,000 rural women, which have brought about an incredible enhancement of women’s self-esteem, confidence, and social recognition in their family and community. In April 2015, with the consistent encouragement and support of IDRF, Arpana launched a project with a goal to implemented strategies for the sustainability and longevity of the 821 SHGs formed with 11,588 rural women members and the two federations of these groups. 100 SHG women have been trained as community trainers who are able to perpetuate the process of community level trainings, with minimal support of Arpana staff. A broad base of SHG women leaders have emerged through the intensive monthly village level trainings which have equipped over 4,000 women with skills and capacities to manage their groups and maintain records of all transactions in their groups. Theater workshops and street plays held with each batch of trainers have contributed enormously in building the participants’ communication skills, self-confidence, self-expression, and body language, etc. A sound understanding of health, development and gender issues, and village governance is also imparted in the participants. Awareness of issues related to the differently-abled is being engendered, to work for inclusion in all spheres. Equipped with the financial support from IDRF, as well as financial training from Arpana, it has become much easier for the SHG members to take micro-credits for starting up small business enterprises. This has brought about a profound transformation in their lives. The female entrepreneurs are running successful local businesses, supporting themselves, and also contributing to their families’ living standards. Over 7,234 cumulative loans have been taken by the members for their small businesses. 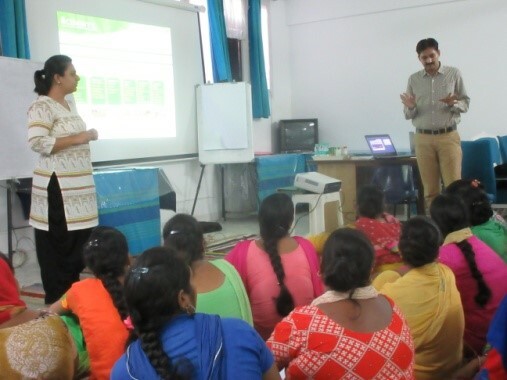 Village level training events were organized in 2016, in order to reinforce the skills in record-keeping for 2-4 literate members from all SHGs. About 4,000 participants were made aware of the importance of new norms for repayment of loans and also improving the punctuality and discipline in their groups. Village level training events reinforce record keeping, upgrading accounting and banking skills in the members. Modern mobile technology of text messaging is used to facilitate co-ordination of meetings, networking and trouble-shooting. Please click on the link to learn more about Arpana Research and Charitable Trust’s multifaceted activities for the underprivileged section of the society.